The UK crashing out of the EU would be a lost opportunity for all, Europe Minister Helen McEntee added. She maintained that Theresa May’s defeated Brexit deal is still the best option for an orderly separation. She said: “Voting to avoid it does not actually prevent a no-deal from happening so the ball is very much in the court of Westminster. “We need to see proposals from the UK as to how they would avoid a no-deal. Preparatory legislation currently going through the Irish Parliament will soon be ready to be enacted. 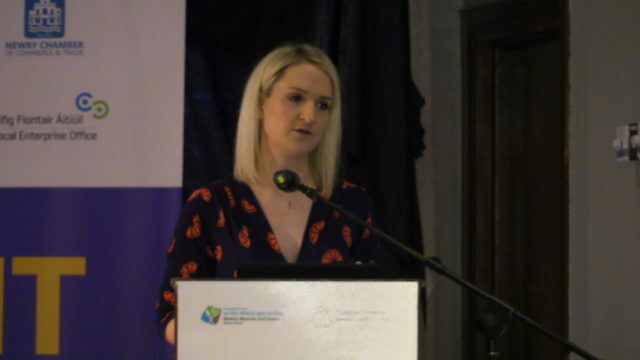 Ms McEntee added: “The challenge is that we do not know what the full scale of the implications might be on business and that is why it is so important that we have a deal, that we have an orderly Brexit, and that people have the time to prepare and plan. She addressed a conference on the impact on businesses of Brexit on Wednesday morning. It was held near the Irish border in Co Louth in the Republic. Afterwards, she urged the Prime Minister, Labour leader Jeremy Corbyn and all parties to work together to try and find a way forward. “Because otherwise, 16 days out, the only way that we are heading is towards a no-deal and that is not what anybody wants,” she warned. She said tariffs could produce “huge and devastating” problems for agriculture. “While we have obligations to protect the single market and the customs union, the UK also would have obligations under the World Trade Organisation (WTO) rules, so it would not be good for anybody. “Tariffs are not good for anybody, they are not good for trade, they are not good for business – and that does not just apply on this island, it applies on the UK, so we need to work together to prevent that from ever happening, of getting to that stage.